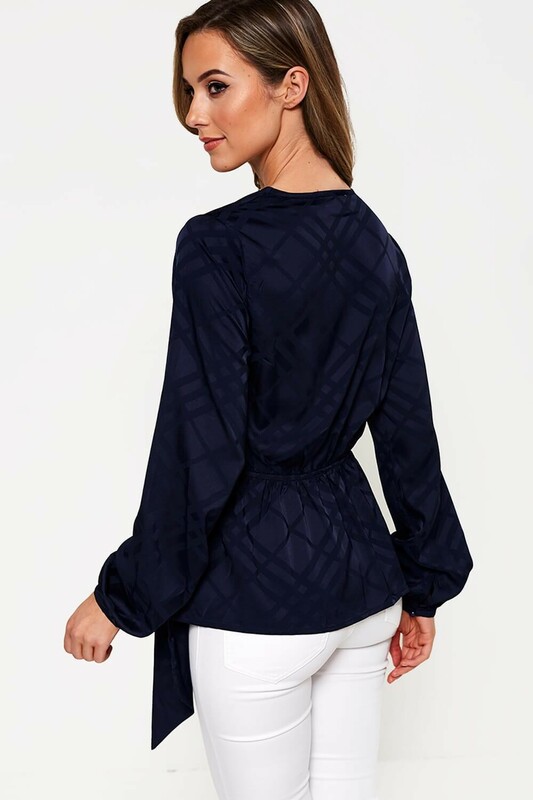 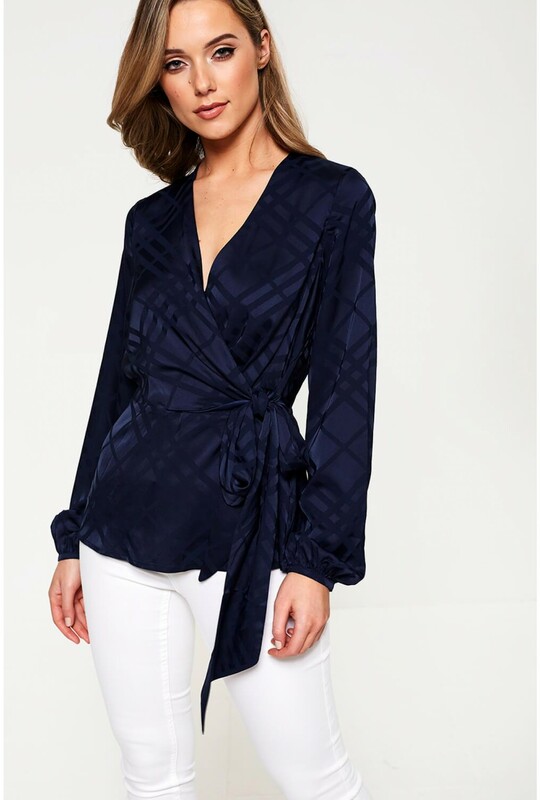 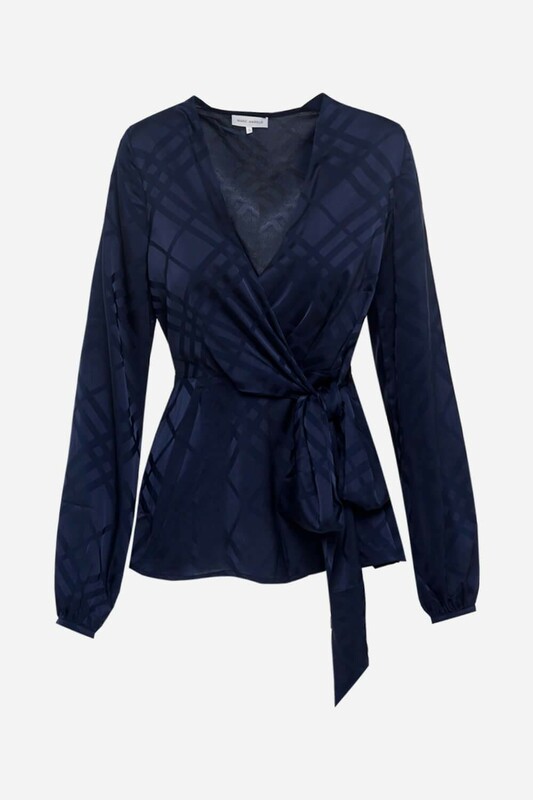 Refresh your top collection with this elegant navy top from MARC ANGELO. In a flattering mock wrap design, silk-like criss-cross pattern and V neckline. 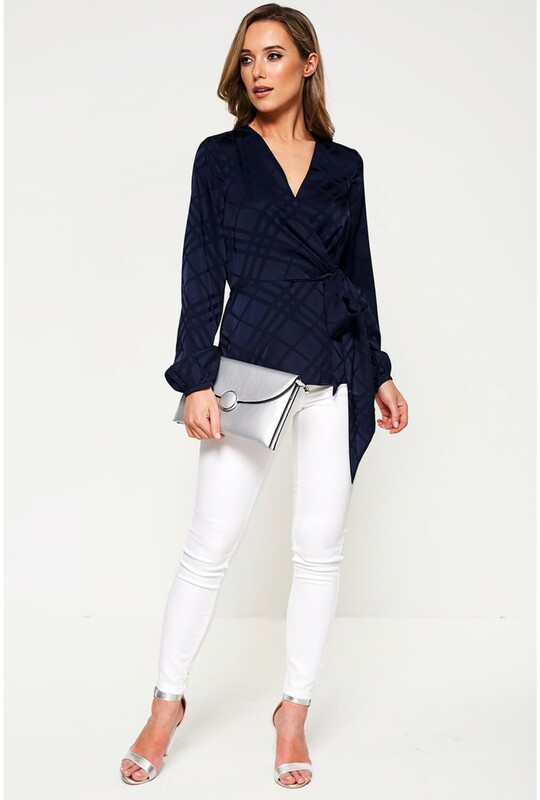 Amp up your look and style with tailored separates or tucked into a skirt.